This year’s 12 Days of Randonneurmas gift list has made the turn but has a lot of ground left to cover. Today the spotlight turns to another vest, one that can perform double duty. 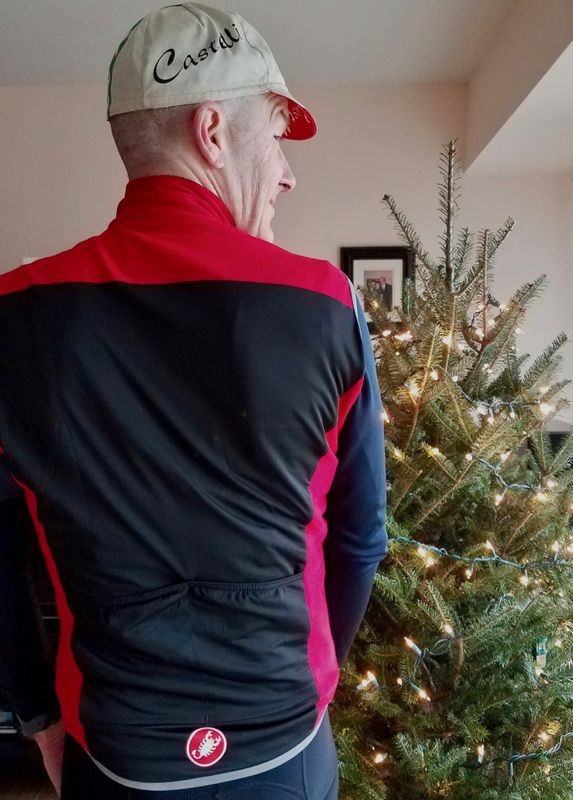 I don’t race, but I wanted a lightweight insulating vest for fall and spring riding and the Perfetto gets a lot of rave reviews. Neal Rogers at Cyclingtips included it on his top 10 list this year. It’s rain resistant, meaning it should get you through a passing shower and light rain. The vest is made of Gore Windstopper softshell material on the front and sides, with a high collar and a stretchy lightweight lycra back with two rear pockets. Windstopper can be pretty warm stuff under hard efforts, which makes this vest a winner in cool temperatures. Combined with a long sleeve wool or thermal jersey and a base layer, I’m comfortable in dry conditions in the upper 40s. I could see using it up to 60 degrees with a short sleeve jersey and arm warmers. 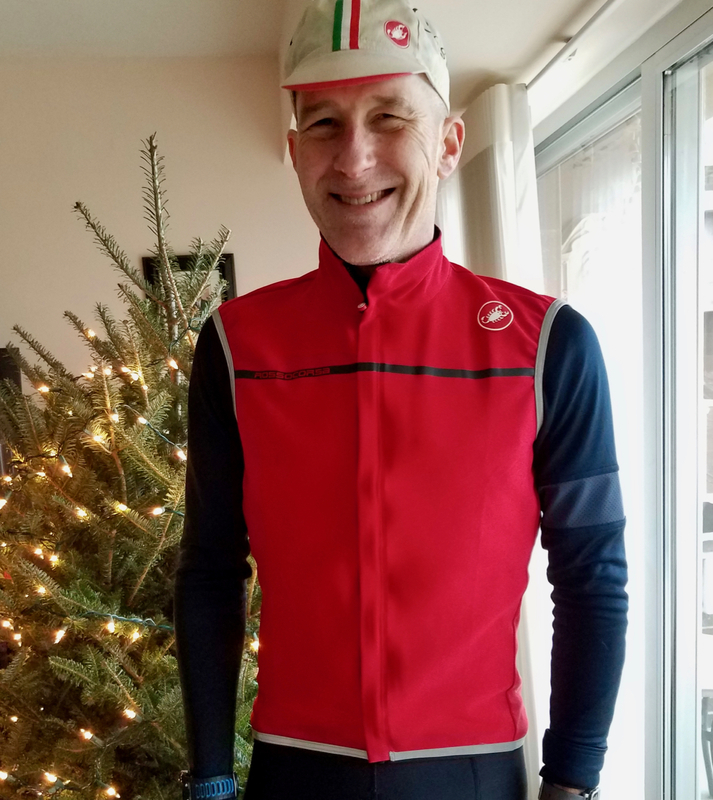 Castelli as a brand runs small – I’m 5’11” and wear an XL in this vest. I normally wear a medium in other brands. There are a number of colors and it often goes on sale. I bought mine for $80. I like vests – they are so versatile. The Perfetto is a good design and offers a lot of value. Tomorrow: a guest post from our world traveler pals.